Roverhair color remake phase 1 and phase 2 200 ml. Color ReMake is the ideal color remover for all cosmetic coloring processes; its unique action removes the cosmetic coloring without damaging the natural hair pgmentation. Warning Do not apply on irritated skin or in case of abnormal skin conditions; Avoid contact with eyes, in case of contact , rinse repeatedly with water; do n..
Roverhair detector 5 1000 ml. Roverhair detector 23 1000 ml. Roverhair detector 38 1000 ml. Roverhair 3% Pure Developer Activator 1000 ml. A NEW PURE DEVELOPER is enriched with Macadamia oil and Argan oil; stabilized and creamy, it allows protecting hair during the entire coloring process. 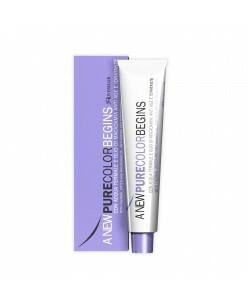 It is ideal for mixing with A NEW PURE COLOR BEGINS colors. Now to use; mix according to the proportions indicated. Contains hydrogen peroxide. 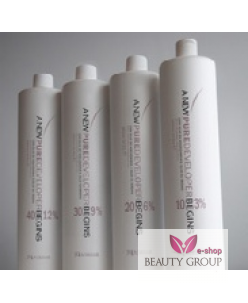 A complete series of ac..
Roverhair 6% Pure Developer Activator 1000 ml. A NEW PURE DEVELOPER is enriched with Macadamia oil and Argan oil; stabilized and creamy, it allows protecting hair during the entire coloring process. 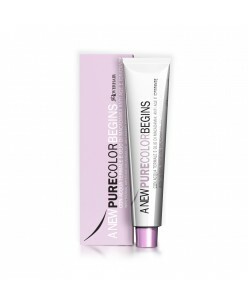 It is ideal for mixing with A NEW PURE COLOR BEGINS colors. Now to use; mix according to the proportions indicated. Contains hydrogen peroxide. A complete series of a..
Roverhair 9% Pure Developer Activator 1000 ml. 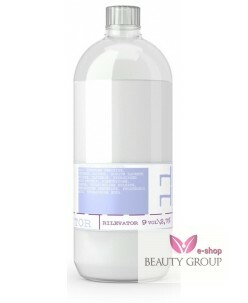 Roverhair 12% Pure Developer Activator 1000 ml.